King of the Pirates – Radio Caroline is Forty-Seven (but still fit)! 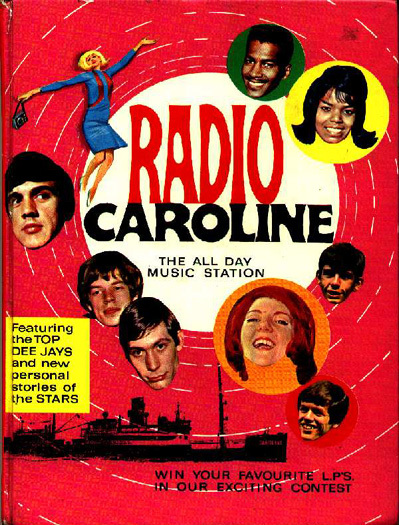 From the golden age of the offshore pirate radio, Radio Caroline is running a special Easter line-up of old and new music – with the presenters that started it all – to celebrate their forty-seventh anniversary. Weird and wonderful – Twin Peaks is back in Britain on DVD! Diane, I'm gonna buy a boxset Gold Edition of Twin Peaks. It's been ten years since my last coffee - how's Annie? Yes folks, to mark it’s twentieth anniversary, the mind-altering blueprint of freaky TV goes on sale today, for the first time in the UK on DVD. Ways to waste time #2 – Twitter wants you! Do you find yourself muttering things like “oh look, Countdown is on” or “I think I’ll have a biscuit” or generally talking out loud when no one is around? Then Twitter is for you. The ranting crazy lady of social networking, Twitter is basically a neat kind of socially-acceptable thinking-out-loud. Not everyone spends all day religiously keeping up with blogs, Twitter, RSS feeds and Facebook updates (I do. Yay me) – but you are online right now, and obviously not busy, so why not see what else is out there! Christmas movie recommendation – The Wild Things are here!